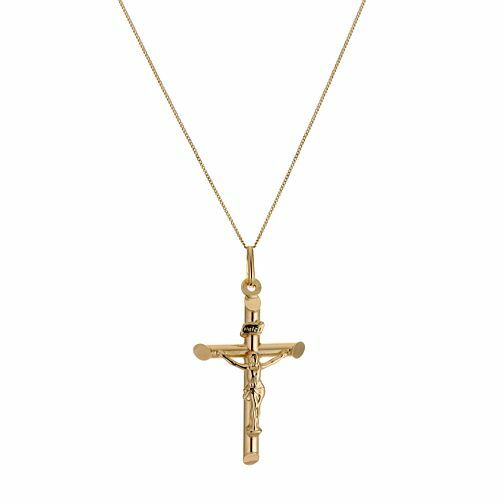 This large traditional crucifix is designed in polished 9ct gold. It has an INRI inset plaque and tapered edges on the four points of the cross. 9ct Gold Crucifix Pendant is rated 3.3 out of 5 by 7. Rated 2 out of 5 by Anonymous from Delicate chain broken Bought this as a birthday present and within a few weeks the very delicate chain supplied has broken. Would expect a more robust chain for the size of the pendant and the price we paid.